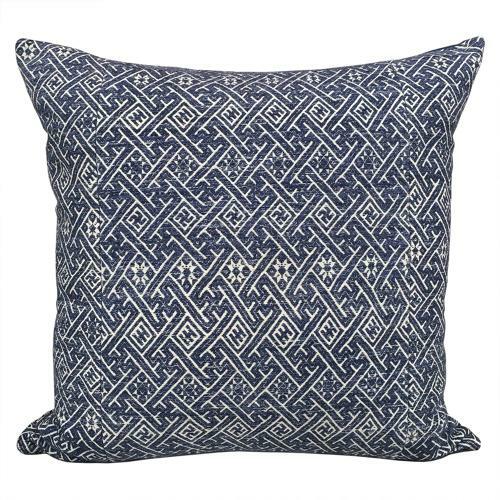 These cushion is made from a vintage Zhuang wedding blanket in dark blue cotton. The weave is thick and strong. The back of the cushion is also made from a vintage minority textile, which is a Buyi cotton homespun textiles in blue stripes. Double lovely! There is a zip fastener and feather pad.